Getting new skiers going has changed so much in the last 20 years. From magic carpets, to harnesses, new tools have made it much easier to introduce little skiers safely and with little frustration as possible. This category is about different approaches to introducing kids to skiing. We’ll share tips from instructors, and review tools that can help turn teaching children how to ski into something that is enjoyable and successful for you and your kids..
Top of Siberia at Squaw Valley, now which way down? The Siberia chairlift at Squaw isn’t as famous as KT-22, Granite Chief or Headwall, but for my 9-year-old it must have felt like the top of the world. Coming up the lift we had a great view of the main run down the face of the hill, and I could tell Ben was a little nervous. He is a solid intermediate skier, but this was definitely steeper than anything he had done before. As we stood at the top, I asked him if he thought he wanted to ski the face, or if he would rather take the ridge trail down, which was a bit easier. “Whatever you want,” he answered a bit too quickly. I wanted to rip down the face as much as anything in the world, but while I was pretty sure he could handle the hill, I didn’t want to push him into an uncomfortable situation. “Why don’t we take the ridge this time, and maybe we’ll try the face next time up,” I answered. “OK,” he answered, and took off down the ridge run. I am constantly struggling to find the sweet spot between pushing him to try new challenges on the mountain, and trying to keep him comfortable and having fun. Sometimes the hardest part is quieting my selfish inner voice that is desperate for a thrill in the middle of a family ski day. Later in the morning, we found ourselves over at Shirley Bowl, and he started pushing himself to try tougher and tougher lines off a long traverse. This time when I asked him where he wanted to go, he was confident and excited, without any sign of tentativeness. We ended up having an amazing time skiing the Shirley Lake area for the rest of the day. We never got back to Siberia that day, but he brought it up again at the end of the day. “Not much. The top is a little steeper,” I answered. – Posted on the go. Learning to ski at Boreal in Lake Tahoe, California. With snow finally coming down in Lake Tahoe, Boreal’s “Take 3, Ride Free” program might be an interesting option for families looking to expose kids to skiing before this season ends. 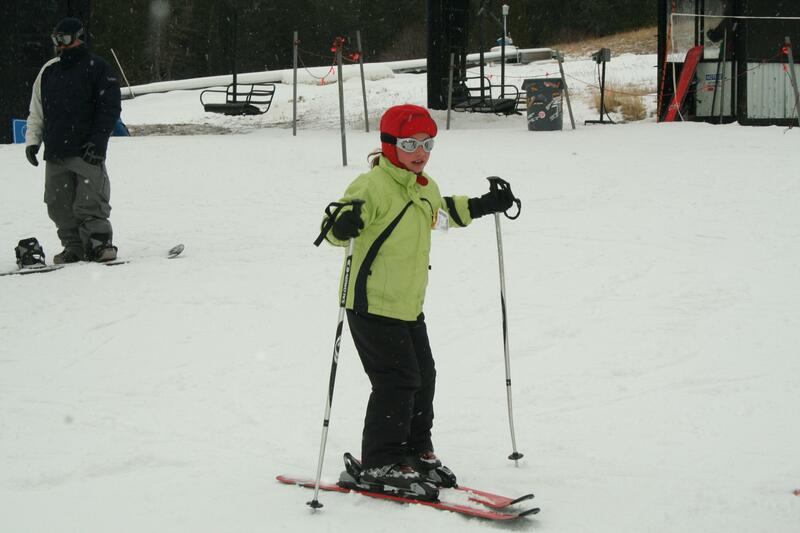 The program provides a free 2013-14 season pass to anyone who takes three lessons. Surprisingly, they don’t make you pay for all three lessons up front, you can try one lesson, then come back and take the next two whenever you want. Even better, the second two lessons are offered at more than a 50% discount on normal rates, so the overall cost is very reasonable. They are offering two flavors of the program. For new skiers the “1-2-3 program” includes a 3 hour lesson, plus rentals and a limited lift ticket (only good on the beginner runs). The first lesson costs $79 and subsequent lessons are only $35. For intermediate and advanced skiers, the “4-5-6 program” includes a 90 minute lesson, rentals and full resort lift ticket. For this program the first lesson is $89 and subsequent lessons are $45. At $149 for beginners and $179 for intermediate and advanced skiers, the price is pretty reasonable for three lessons, three days of rentals and a season pass. By comparison a single-day lift ticket at Squaw Valley is $114 for adults and $66 for children 5-12. Boreal has great access for families in Northern California, as it is just off Interstate 80 before you get to Truckee. It doesn’t have much in the way of luxury (the lodge is dated, and the food is what you’d expect at a high school football game), but it has very good terrain parks, good snow making, six chair lifts (1 high-speed quad) and night skiing until 9:00 most nights, if you’re not much of a morning person. When the kids are getting worn out from the lessons and early growing pains, there is also a pretty fun tubing hill on site. More info on the program is available on Boreal’s website. Everything you need to know to raise a ski bum.